Give $100 to Get $100- you both win. 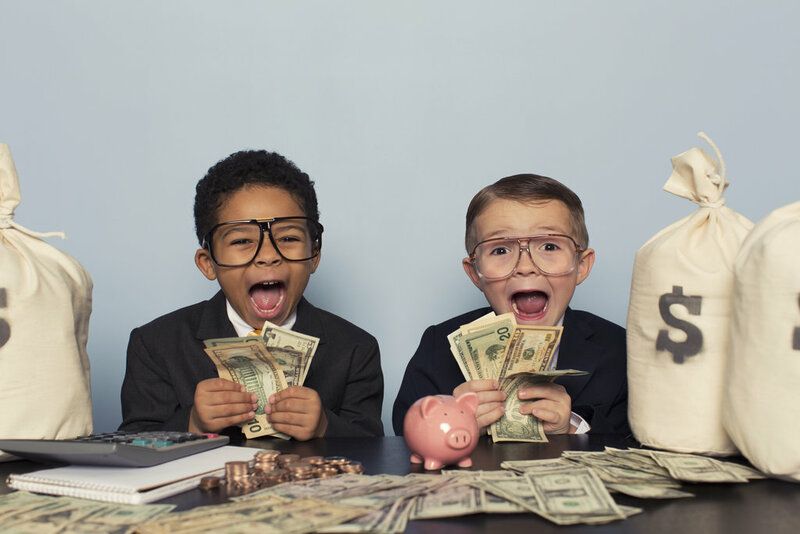 Refer a friend to work with us and earn $100 cash when they make a purchase. PLUS your friend gets $100 off their first order. It’s easy to share the wealth! Whether this is your first time attending Social media camp, or your 6th, here’s a handy checklist to help you make the most of your time at camp. This is North America’s biggest social media conference offering 60 speakers in just 3 days, with many concurrent sessions in one of three main salons, as well as other events offsite and in smaller rooms. If you haven’t already, check out the schedule of events before hand on the social media camp website interactive scheduler where you can plan your attack- and save the sessions and workshops you plan to attend. For activities outside the conference, be sure to follow Social Media Camp on Twitter as there are many vendors offering discounts to attendees on anything from whale watching to hotel rooms. It may also be wise to consider your objectives and intentions for attending- what do you hope to come away with and how can you best achieve that objective? Before during and after social media camp, there are many opportunities to connect with speakers, attendees and sponsors alike. Join in on the conversation through the hashtag #smcamp and reach out to people you’d like to connect with in person at the event. In the scheduling tool on the Social Media Camp website, you can see who is planning on attending which session and connect with them, of course, on social media. You can also do a bit of research on the speakers you’re particularly interested in and connect with them on their topic before the conference. There are also several launch & post events that occur alongside the evening wrap-up at the pub up the street. Be sure to attend some of these more informal gatherings and have some fun while meeting new people. Great attitude: Don’t be afraid to say hello to the person sitting next to you or approach your favourite speaker! Water Bottle: Like any day at camp you’re going to want to stay hydrated, so bring a refillable water bottle. Coffee Mug (optional): Coffee is usually supplied in the mornings, but if you’re like me and drink the stuff all day, bring your own travel mug and get refills at the coffee shop next door. Battery pack: there can be fierce competition for power outlets, and you’re not going to want to have a dead device, so bring extra battery power. Business cards: This is such a wonderful opportunity to look up from your phone and meet people in person, don’t forget to bring your business cards to maximize your networking effectiveness. Cash & a Pen: There may be books for sale by the speakers, so if you want a signed copy, bring cash for purchase and a pen for autographs. Note taking supplies: Whether you prefer pen to paper or digital note taking, you’ll want to take notes to get maximum value out of your experience. (Many of the sessions are wonderfully illustrated in real time, real life INFOGRAPHIC style by several talented artists who do a great job of summarizing each talk’s main points. This checklist is based on my experience of 2 years of attendance- was there anything I missed? Let me know if I did! You can tell me by connecting with me on social media , in the comments below, or in person after my presentation- Socialin17 – I am looking forward to seeing you there! 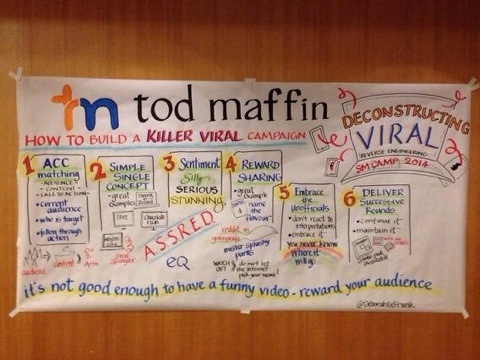 5 reasons to drop everything & go to social media camp. Just the word camp elicits a feeling of freedom, learning and fun doesn’t it? While this type of camp is decidedly missing the roasting of marshmallows, there are plenty of reasons to justify putting business as usual on hold to attend. 1. You’ll actually learn useful stuff you can apply right away in your business. If you don’t feel 100% comfortable in your social media strategy or execution- this is the place to get clear and confident by learning actionable tips from the best minds in Social Media in North America. There are as many as 5 sessions running at once, and they’re classified from beginner to intermediate. There are also workshops, coaches and handy poster sized summaries of each talk for easy note taking. Most sessions offer a hand out or some sort of supplemental material you can refer back to later as well as instruction during the seminars. Reference materials created during Tod Maffin’s talk last year. Social media camp feels a lot different than many other conferences. They’ve done a great job of structuring it so networking and community building happens naturally in the various in-between-session rooms that serve up popcorn as well as plenty of charging space for your devices. Most attendees (67%) are key decision makers in their business, so with hundreds of attendees, there are plenty of movers and shakers to meet. You may get to rub shoulders with best selling authors and TV personalities in between their talks or at the always packed local pub across the street. This year’s keynote is marketing expert John Jantz- the Author of the Duct Tape Marketing series of books. 3. Time to reinvest back in your business. There’s so many things demanding your attention every day it can be hard to prioritize personal development & learning. 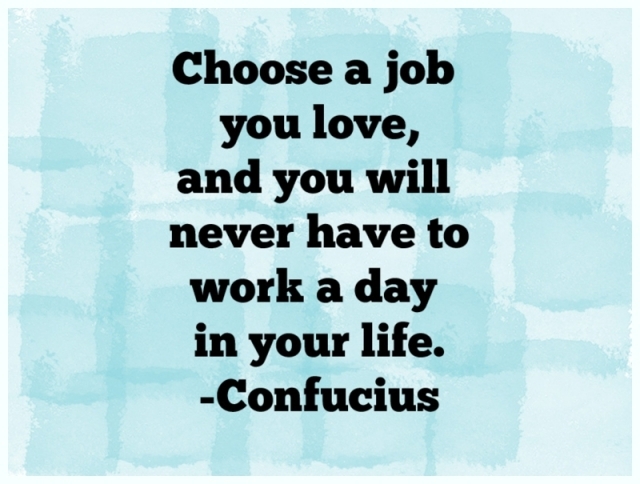 It is critical though, to allocate a percentage of your work time to ongoing training in order to remain competitive. As Darwin famously said -it’s not the strongest or the smartest of the species most likely to survive-it’s the most adaptable to change. The undeniable way social media has influenced the consumer buying cycle and how we interact in our relationships demands the attention and adaptability from all professionals. There are few places in Canada that are as beautiful as Victoria BC in May. With one of the most temperate climates in the country and flowers year round, Victoria is about as tropical as you can get without crossing the border. After the long, cold, hard winter why not spend some time in the milder climes of the West Coast of Canada? You may want to take an extra day or two and visit the many things to do and see around this picturesque city. Gorgeous beaches, surfing, whale watching, tropical rain forests and some of the best local dining in Canada are all popular attractions..
5. You’ll make my day. 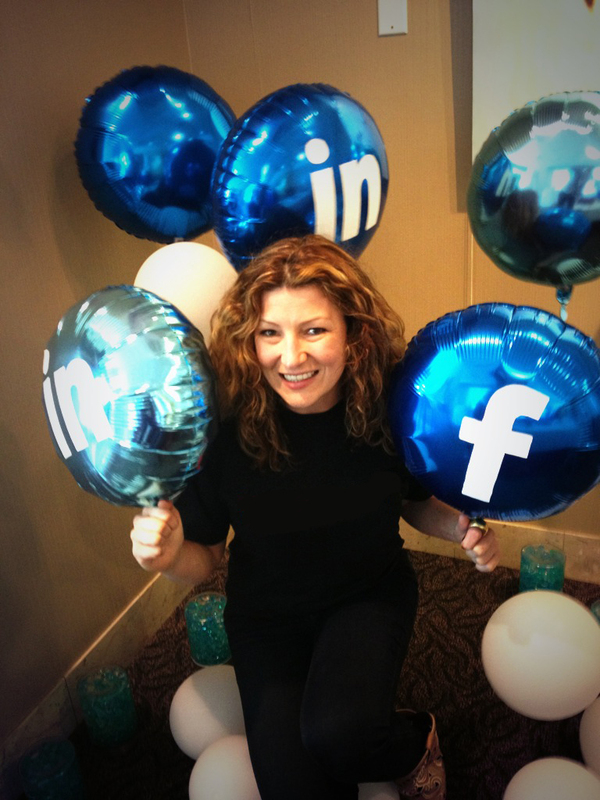 I’d love to see you at Social Media Camp! I’ll be around for the majority of the conference soaking up all the learning. As well, I am thrilled and honoured to be asked to present on the topic of my book Social in 17 – how to effectively market yourself on social media in just 17 minutes a day. The conference is the 6th of it’s kind and takes place May 21-23.
Business owners like you inspire us! 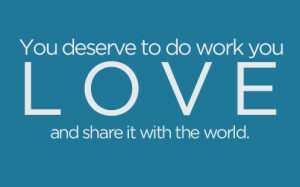 So this Valentines Day- we’d like to show you some love. In our “I Heart My Business” contest, there’s two ways to win a small business pampering package… from our business to yours! 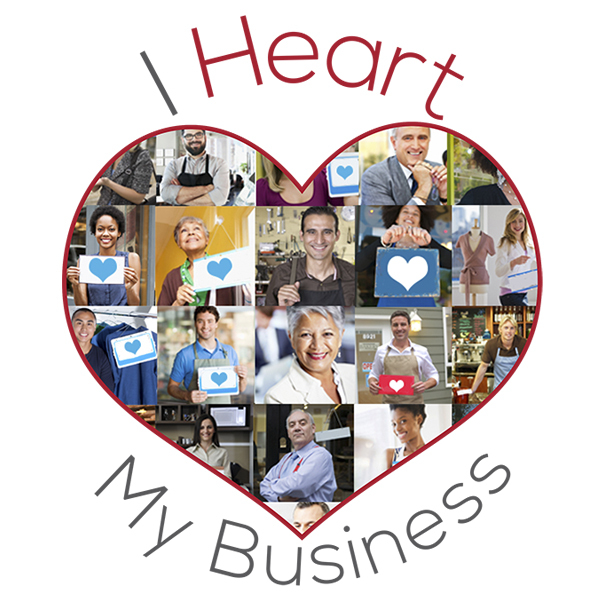 If you dare….tell us why you love your business in the comments below to be entered to win a “I Heart My Business” pampering package worth $250! The contestant with the most likes wins! 2 . 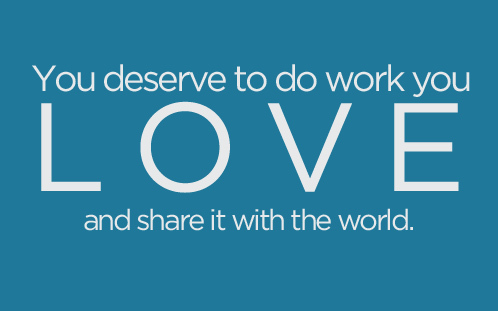 Runner Up Prize: Spread the love. Not feeling particularly poetic? No worries- you can still win! 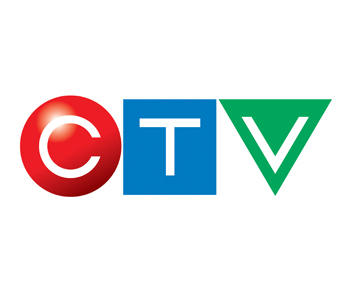 Share your favourite contestant’s video and be entered to win the second prize; a gift certificate for an hour long massage! The contest winners will be announced on Facebook on Feb 14th- Valentines Day. We’re closed from December 24-28, Open December the 29, 30, Closed January 31-2. All ongoing marketing services will continue throughout the holiday, but we will be unavailable for emails and appointments when we’re closed. It’s with great excitement we’re announcing the launch of our Mobile Marketing Service! Mobile, or SMS Marketing is powerful as a standalone or combined with any other digital marketing service. Those are powerful indicators of customer engagement. Especially when you consider email open rates are about 22%. Imagine having hundreds if not thousands of people who want to get SMS messages from you! Send Listing Info for Properties or Vehicles For Sale. Try mobile marketing for yourself and save! text “webme” to 71441 to get a coupon from us for 50% off website updates. *limited time offer expires Jan 15th 2015. How does mobile marketing with you work? Contact us to set you up. There are no yearly contracts- just month to month! You get your own online mobile marketing dashboard where you can manage your campaigns yourself, or we’ll do it for you for no extra cost! 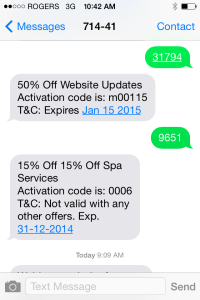 The people who opt in can then receive coupons or promotions from you via text. 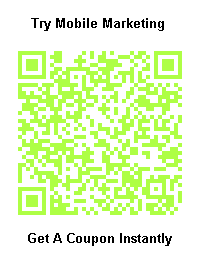 Or, you can offer people to opt in to your lists through several different methods- a QR code, an opt in form like the one below that you can use on your website, or the text keyword mode described above. Each package comes with a set number of keywords and messages you can send each month- it’s works a lot like your package with your phone company, but there is a mobile marketing package for every business budget. It’s recommended to send out one message per week in the beginning until you get a feel for what’s working and if you should increase or decrease the frequency of your messages. What if someone wants to opt out of getting mobile messages from my business? We are fully compliant with FTC and Canada spam legislation. If someone doesn’t want to get mobile marketing messages from you they can simply text Stop and will be opted out immediately. How much does it cost to start mobile marketing for my business? It’s really affordable- basic packages start at under $69 a month. Can I try Mobile Marketing first and see if I like it? Text “webme” to 71441 to get opted-in to our list- you can see for yourself how easy it is PLUS what a mobile coupon looks like, and how you find the experience. You can also opt in with the web form below- these can be added to any website or even Facebook! Just In-Laurel Will Be At Social Media Camp- will you? 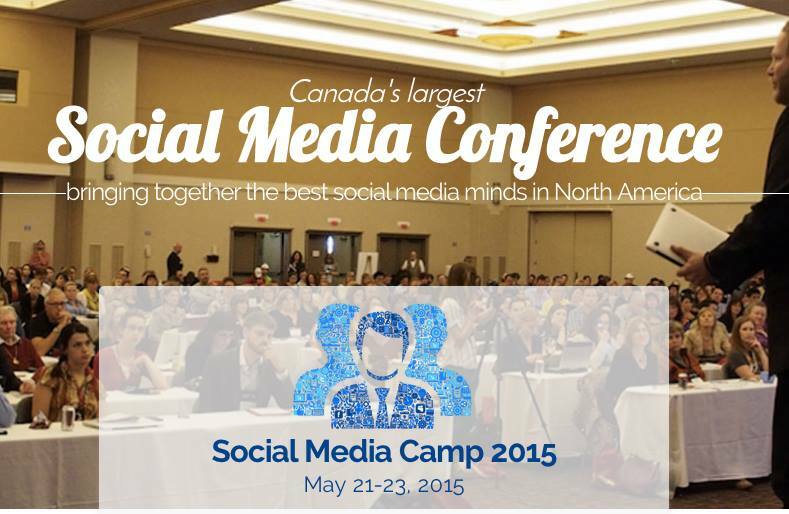 Social Media Camp is Canada’s Largest Social Media Conference! This spring the 6th annual conference will take place from May 22-23rd 2015. And we’re so excited to announce Laurel’s submission to speak was accepted! Renowned marketing consultant, John Jantsch is confirmed as Social Media Camp’s opening keynote speaker. 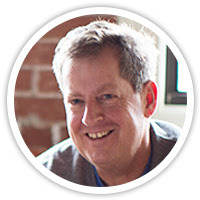 Best selling author of Duct Tape Marketing, Duct Tape Selling and The Referral Engine, John has been called the “World’s Most Practical Small Business Expert” and Forbes has named Duct Tape Marketing one of the 100 Best Websites for Entrepreneurs. Laurel is stoked to be in the company of such individuals. Since I formed The New Media Group in 2006 it’s been of the utmost importance for me to provide high value, low cost technical services for my clients. I believe no cost, lifetime support is just the right thing to do and is one of the ways we show we care about your success. I haven’t increased my web hosting prices, ever. But, after 9 years, this too must change. The advent of newer, more interactive technologies necessitate a far more vigilant approach to web hosting, and our costs have gone up. As of Jan 1 2015 all standard email and web hosting packages will now cost $299 + GST for the year. This package is still incredible value as it includes website hosting, email hosting and live-person support from real people who care. For those who need more email storage, we now offer a 3 Gig Mailbox for only $5/user/month. Your passion for good code, clean lines and an intuitive user experience runs deep. In fact, you abhor the mediocrity in much of what’s on the web. As an experienced and successful web development professional, you hold yourself personally accountable to a higher standard than many. You attribute your success to your trifecta of skills- you’re a competent business person, you possess above average technical skills AND solid design/UX abilities. Because of your skills and quality of output you’re already successfully contracting for clients and agencies alike. The result- you have a solid portfolio which shows competence and cleverness in applying the latest in SEO, social and conversion techniques. What you’re looking for is an opportunity to supplement your existing work and pay with a hassle free, steady, ongoing contract with significant growth potential. 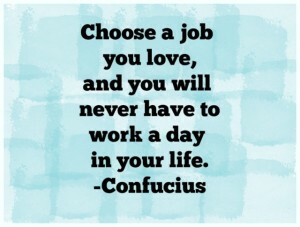 You want people that are easy to work with and have been doing this for long enough to get our of your way. You want the wireframe, the content, the keywords and the freedom to show us how it’s done. If this sounds like you, then you may just be the web whisperer we’re looking for. We’re a busy yet organized web consultancy with operations across Western Canada and clients worldwide. We are expanding our development team to meet increased demand. Projects would be smaller to start and expanding and increasing in scope as our working relationship grows. Designing & Coding Custom WordPress Themes. Develop & Maintain WordPress Websites; ensuring responsivity as well as browser compatibility. Configuring the hosting environment for maximum performance in preparation for development. A basic knowledge of it’s interface and file structure. Have worked through the entire process of a website from Design to Development to Production. Willing to provide URL’s to samples of work.